Although cricket was introduced to Bangladesh under British rule two centuries ago, it was not until independence in 1971 that the game took hold with the masses. It became an Associate Member of the ICC in 1977 and quickly rose to prominence thanks to its results in ACC tournaments. Bangladesh qualified for its first ICC Cricket World Cup (England 1999) on the back of winning the ICC Trophy in Malaysia in 1997. It followed that up soon after by becoming the 10th Test nation in June 2000 (playing its first match five months later). Bangladesh's first participation in the World Cup, in 1999, was a great success when it shocked Pakistan in its last group match before making a creditable exit. Although its 2003 campaign went winless it bounced back in 2007 to achieve significant victories over India and South Africa. It also claimed a memorable scalp during the first ICC World Twenty20, when it beat West Indies to reach the Super Eights. 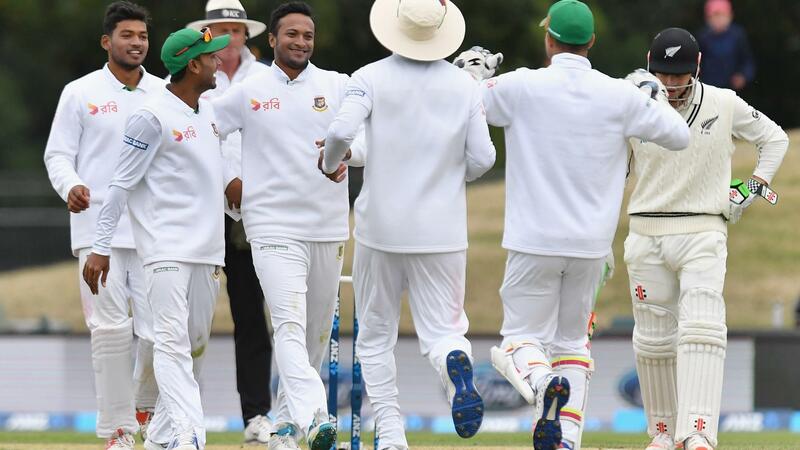 Test progress has been slow, with its first win coming four years after its November 2000 bow against India - a victory over Zimbabwe in Chittagong. Its first overseas Test victory was quickly followed by a second as it completed a series triumph in West Indies in 2009.
International women's cricket in Bangladesh owes its existence to hockey as, in 1982, it was 14 female hockey players who decided to switch to cricket, although at first they only had males as opposition. The following year, the group went to India to represent their country in women's cricket, and eventually they came to play cricket against women back home. Some of those dedicated pioneers now work in women's cricket for the Bangladesh Cricket Board, an organisation which has already provided financial assistance since taking the game on board in 2005. In 2008 and 2009 it has shown its potential, recording wins over Pakistan and Sri Lanka.